Amidst all hassles, at one corner of the waiting lounge of Lokopriya Gopinath Bordoloi International Airport, Guwahati sat this young guy with a blue travel back. To an average individual he is just another passenger waiting for his flight, but a true sports enthusiast would identify him as the youngest Indian to win a gold medal at the Asian Confederation Boxing Championship in 2013, the youngest Indian to qualify for London Olympics 2012 and one of the first Indians to get a World Series of Boxing Contract. 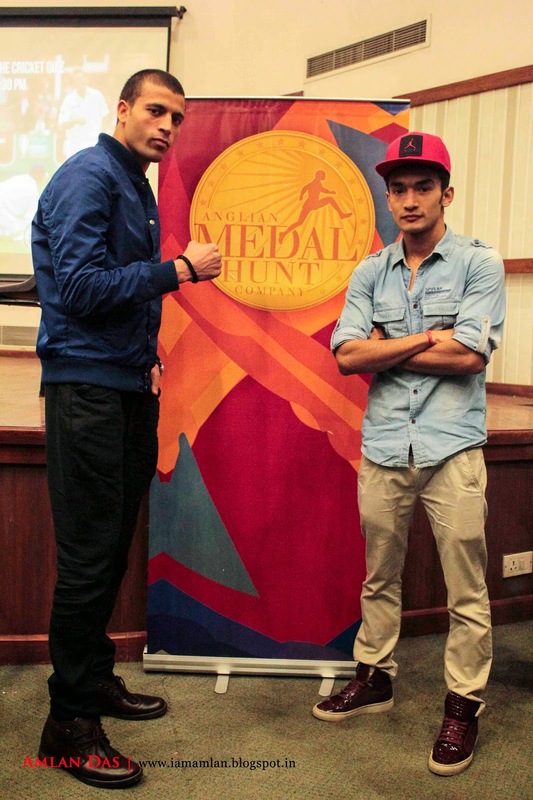 And he is none other than, our very own Olympian Shiva Thapa. Contrary to his resume which induces the tag of being an Asian Champion and a silver medallist at the 2010 Singapore Youth Olympics, Shiva is probably one humble athlete you will ever come across. He is very soft spoken and well articulated. Hence when this so called sports enthusiast or rather an unknown stranger approached him, he treated me more like a friend than a fan. This is the account of an informal conversation which I had with the Olympian which unfolded during our two and a half hours journey from Guwahati to Delhi. Had no intentions of making it an interview or a feature until the conversation became too intense and I had to identify myself as an aspiring sports journalist and he had absolutely no issues with me writing about the journey. Shiva also believes that that he is very lucky to have a very supportive family. Right from childhood his inclination has been towards sports and he credits this to his father. It is very less known that he ventured into the world of sports with Karate, not boxing. In fact he is a state level Karate Champion, but it was later that he realized his fascination towards boxing and that’s the start of his glorious career. He started his initial coaching days as a day boarder at the Sports Authority Complex, Guwahati and continued his practice well till he graduated from Pune. Today, Shiva trains at Patiala. He has just returned from 17th Asian Games, Incheon where he managed to reach the Quarter Finals. He was undoubtedly very disappointed after having lost the Quarter Final to Philippines’ Mazrio Fernandez. “The time I won the Asian Championship, I was in a really bad shape. I was down with flu and forget about fighting, I could not even stand” he continued. But optimism drives this young man. He is very passionate about the sport and you can feel the vibes coming out of him reinstating the same. With a smile on his face he said, “We have good facilities out there with good coaches, nutritionists and psychologists, I will prepare well for the upcoming championships”. The conversation with this amazing young man was indeed random. Must we not forget that other than being a gifted athlete, he is also a 20 year old young man. As I munched a packet of nachos along with corn sandwich, I realized how controlled the guy sitting next to me is when it came to diet. Maintaining a proper diet to be in his desired weight category is very crucial for Shiva and that’s what he told me when I asked about how difficult is to control the diet. “You know it’s so easy for us to gain weight if we just randomly eat, but at the same time we lose many calories in just hours of practice” said he. Like every dedicated sports person, Shiva is regular and thorough with his schedule. “In Incheon, I noticed these athletes from China. How disciplined they were. Even at the time of lunch and dinner, they marched their way into the hall. Such discipline is very important if you want so succeed” he added. Delhi was just 20 minutes away and our conversation became even more intense. There is a reason why I won’t call this an interview, but just a conversation. Shiva is one confident man; he is someone who can keep the dialog alive. A question that very well pinches every one of us associated with sports in India. Have we ever questioned how have we ever contributed towards sports we follow? We run after just for the news, and once we collect it, do we really follow up on the topic unless we have something news worthy for us? To cut short, do we actually care about the sport? My reply to him was probably a very idealistic one, but something I believed in. The very first pledge of being a sports journalist is to respect a sports person and not just treat him as an entity. Marketing and promotion of talent is the need of the day, but so is encouragement. And the best way to encourage someone is by probably showing the respect you have for the other person. Our conversation took another turn when we started discussing about media distractions. How fame can derail you from commitment. That is quite a statement. Media can make a person and also destroy a person. And addiction of paparazzi can be career threatening for a sports person, especially at an early age. And Shiva, being a smart lad, well understood that. Had he won a reality show, our audience would have remembered for a year or so, but an Olympic gold medallist will have his name written in the history. As we touched down Delhi, the conversation went way beyond a fan or a journalist talking to a sportsperson. It became more of a personal conversation between two friends. 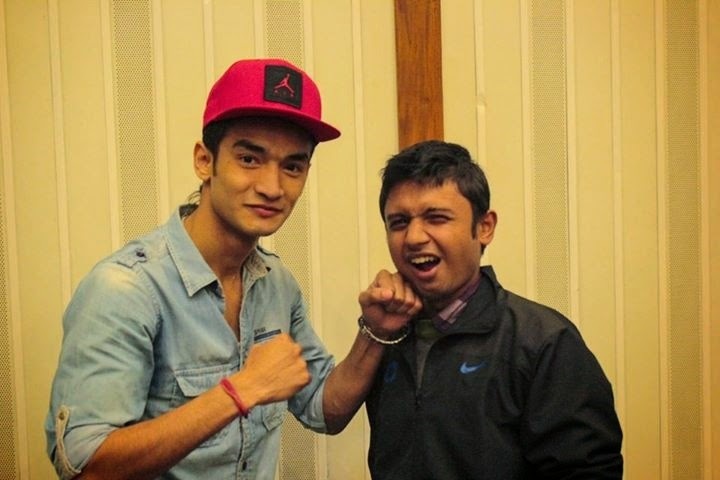 Sports inculcate values into one’s life and this is very evident by the way Shiva Thapa talks. There is no selfish motive behind publishing a personal conversation between a sports person and his friend. But as a sports fanatic, it became a moral responsibility to reach out to the people of the country who fail to recognize an Olympian sitting alongside them. The story must be told.